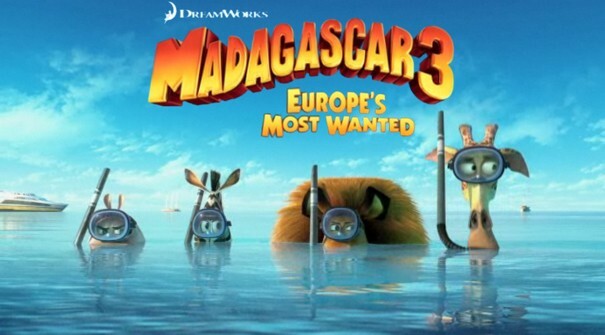 Madagascar 3: Europe’s Most Wanted 3D trailer has been released online last day. You can now watch Madagascar 3 trailer online now from here. Madagascar 3 movie is the next installment of the most popular animated movies Madagascar. In this part, Alex, Marty, Gloria and Melman try another attempt to go back New York City. In the Madagascar movie series which was based on 4 animal Alex (Loin- Ben Stiller), Marty (Zebra- Chris Rock), Gloria (Hippo- Jada Pinkett Smith) and Melman (Giraffe- David Schwimmer) who are escaped from New York City Zoo. In this part of Madagascar 3, these four tries to go back to New York City. This time Paramount Picture and Dream Work has been worked on this film which they released in next summer in 3D version for the first time. The Madagascar 3 has been title this time as Madagascar 3: Europe’s Most Wanted. The possible released time of Madagascar 3: Europe’s Most Wanted is scheduled on June 8, 2012.